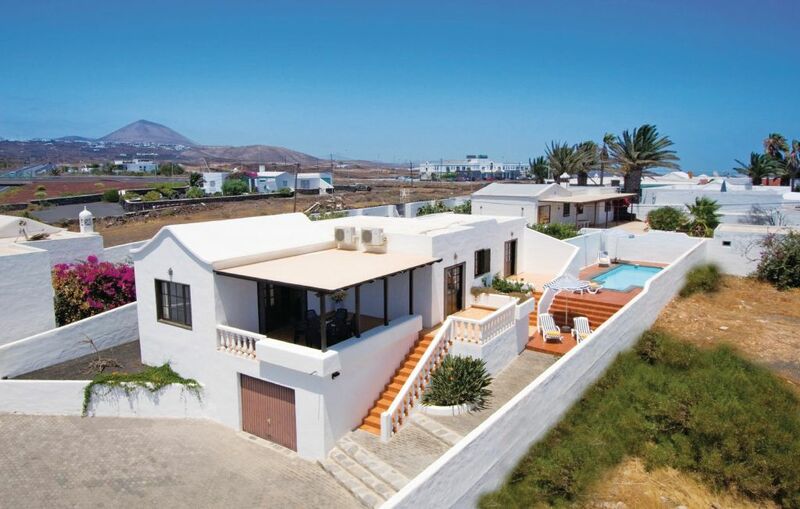 Charming property placed in a quiet residential area, where during the dawn and the evenings you can enjoy wonderful views to the sea and the island of Fuerteventura, and amazing sun sets. In the morning it is possible to enjoy the fragrance of the fruit-bearing trees, the garden is covered with volcanic sand, as typical in Lanzarote. 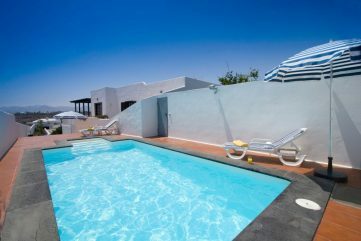 The house has a typical canary architecture with 3 bedrooms, 2 bathrooms, independent lounge dining-room, independent kitchen completely equipped, and air condition and heating in bedrooms and living room. 3 wide terraces, 2 of them placed in front of the bedrooms and one of them placed in front of the living room. 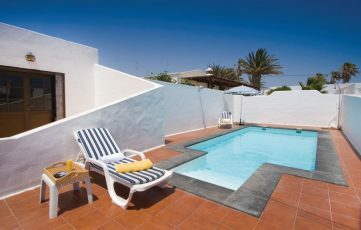 The house has also a nice solarium in front of the private solar heated pool. The entrance door is automatic controlled by a remote control. The commercial area and beaches can be reached in a short walk. Once every 7 nights full cleaning and linen change with fresh towels, pool and garden maintenance included. Flights and transfers available as a supplement.